Cat Neutering is a routine procedure performed daily here at Knutsford Veterinary Surgery. To help cat owners understand the procedure, the associated benefits and other important information we’ve put together this handy cat neutering resource. You can book your neutering appointment online today or contact our reception team who are always happy to answer any questions that you may have. Visit our dog neutering page to find out more information about neutering dogs. Here at Knutsford Vets we book the majority of our neutering appointments in two stages. 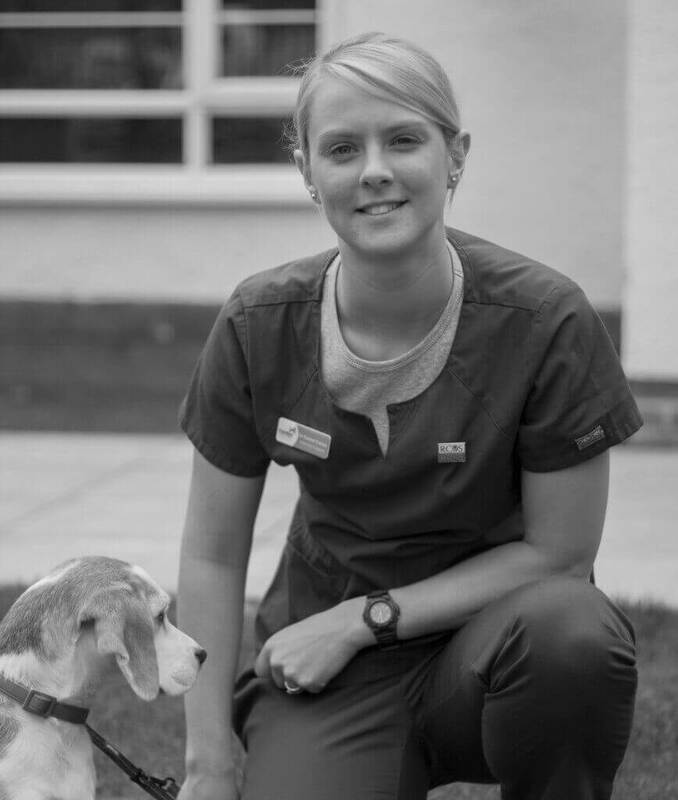 In the first appointment we’ll perform a pre-operative health check where we can discuss the procedure with you and ensure that your pet is ready for surgery. Following these checks, a date for your cat’s surgery is made. For your pet’s operation date your pet will need to be starved of food from 10pm the night before but should be allowed access to water until the morning of the operation. You’ll be notified of any other special precautions that may need to be taken ahead of the surgery date. Once your pet is admitted by the nurses or a vet they will be taken to the ward and settled in. Once your pet is checked in and comfortable we’ll carry out a few routine tests ahead of the procedure. First we’ll offer a pre-anaesthetic blood test before pre-medication which allows us to assess our patient’s kidney and liver function and alter the drugs used during treatment to support their body. If you have elected for this option a small patch of hair will be shaved under the neck to obtain a blood sample, this will be tested before any medications are given to your pet. The next step is pre-medication, this means giving your pet an injection (in a vein or muscle) containing a sedative and pain relief deemed appropriate for your pet and the procedure being performed. Once this has been given your pet is settled back into their kennel for the drugs to take effect. Your pet is then anaesthetised and intubated (tube placed into windpipe) to allow us to provide oxygen and anaesthetic gas to keep your pet anaesthetised. Once asleep, hair is shaved from the surgical site and the skin is scrubbed with an antibacterial solution. Neutering is a routine, simple and safe procedure that has a whole host of benefits. There are a wide range of reasons to get your cat neutered. Health, behaviour and population control should all be factored in. Once your cat is in theatre, the nature of the procedure will obviously depend on the gender of your cat. For female cat’s we will perform what’s known as a spaying procedure, whilst male cat’s will be castrated. The procedure of spaying a female cat will take around 20-30 minutes. It involves abdominal surgery performed from one side to remove both ovaries and the uterus up to the cervix. The abdominal wall is sutured closed and the skin is stitched using dissolvable suture material, in most patients, these stitches will not need to be removed. Your pet is then given another injection of a longer acting pain relief and allowed to wake up from the anaesthetic. In male cats the procedure usually takes around 5-10 minutes. It involves the removal of both testicles through incisions made over the scrotum, the incisions are left to heal without suturing post operatively. Your pet is will then be given another injection allowing them to wake up from the anaesthetic. At what age should you neuter a cat? Although there is no upper limit to when a cat can be neutered, there are a number of reasons why you may want to get your cat neutered at a younger age. We recommend the following ages to be the best time to get your cat neutered as long as they have completed their first course of vaccinations. We recommend male cats should be castrated at 4-6 months old to maximise the benefits of preventing unwanted mating, reducing urine spraying, and reducing fighting and wandering behaviour. Spaying female cats can also be performed at 4-6 months old and have the benefits of preventing unwanted pregnancies, stopping calling behaviours, removing risk of ovarian or uterine tumours as well as removing the risk of uterine infections. There are a range of reasons to get your cat neutered, not least of all as a way of tackling the growing number of strays and rescue cats in the UK. There are also a range of health benefits to neutering. Neutering can reduce the amount of undesirable behaviours, including fighting which can in itself lead to further injuries. Unneutered male cats have a greater tendency to roam further and stay out at night. This can lead to them coming into contact with dangerous roads or getting lost. Following the operation, your pet is recovered in the ward, being kept warm and comfortable. Once awake enough they are offered water and then later a light meal of recovery food. Our team will give you a ring when they are awake from their anaesthetic and will arrange a suitable time for them to go home. At home it is really important your pet is kept warm. You will be given pain relief to administer to your pet at home to keep them comfortable whilst they recover, the nurses always go through this medication with you when you take your pet home. It is also routine for a nurse to call you 24 hours post-surgery to find out how your pet is getting on and to answer any questions you might have about their recovery. Post-operative checks are usually performed 3 and 10 days after surgery.